Homeowners associations won’t be able to deny Oregonians their right to go solar under a bill that passed the Legislature on Wednesday. The bill, HB 2111, which sailed through the House more than a month ago on a 56-3 vote, passed the Senate 19-9. 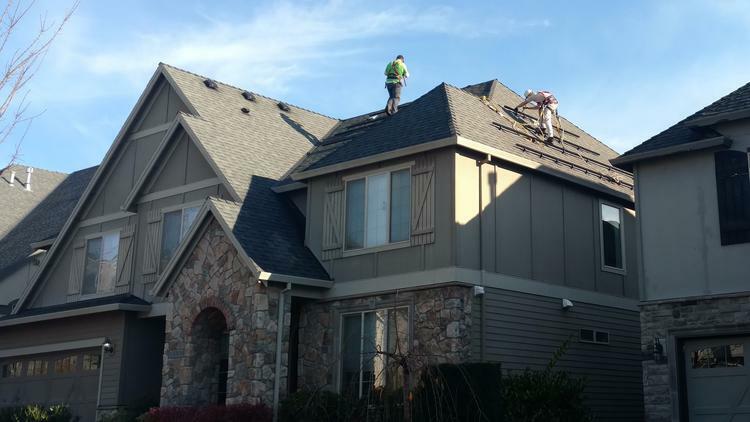 A crew from Legend Solar installs a residential solar energy system in Oregon. Rep. Mitch Greenlick, a Democrat, was spurred to bring the bill by a constituent in unincorporated Washington County who reported that his homeowners association had flat refused to allow him to put solar panels on his roof. “I think I started this in the 2013 session, so I’m really pleased that we finally got it done,” Greenlick said. Gov. Kate Brown’s position on the bill wasn’t immediately known, but Greenlick said he couldn’t see any reason why she wouldn't sign it into law. The bill was amended to include a provision that does allow a homeowners association to “adopt and enforce a provision that imposes reasonable size, placement or aesthetic requirements” on solar installations. The following summary is not prepared by the sponsors of the measure and is not a part of the body thereof subject to consideration by the Legislative Assembly. It is an editor’s brief statement of the essential features of the measure. Prohibits inclusion of provisions prohibiting installation and use of solar panels for obtaining solar access in declaration or bylaws of planned community. Relating to solar access for residential real property. SECTION 1. Section 2 of this 2017 Act is added to and made a part of ORS 94.550 to 94.783.
health, safety and welfare of the people of Oregon. in the manner provided in ORS 93.272 for removal of a provision from an instrument conveying or contracting to convey real property. size, placement or aesthetic requirements for the installation or use of solar panels described in subsection (1) of this section.